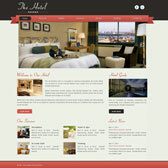 Making You LIVE's state of the art website designer is fun to use and play to create powerful tool. If you can hold the mouse, drag and drop, you can create a wonderful website with our Fun & Play Making You LIVE Designer. We know you have a question and we have a simple answer. Yes you can create a great website and make it online in few minutes and that too without any technical or programming skills. That's why we have clients of all age groups, all professions and business. Just select a design, drag & drop feature like images, text, maps, videos, music, facebook plugins, add your text, images and then SAVE, PREVIEW & PUBLISH and you are LIVE! You can edit your website as you see it like in a text editor. Building your website is done in real time, right from within your web browser. Making You LIVE Designer is accessible from any computer with no software to install and upgrade to worry about. Living and growing without social connection and networking is becoming impossible these days. Making You LIVE is your home for social media activities, with tools like Facebook, Twitter, LinkeIn and much more to use at a single place. Whether you're a writer, baker, photographer, artist, student, musician, business owner or teacher, you will surely find a design for you. Choose from a wonderful and ever increasing collection of aesthetic designs, customize it as you want and you're ready to GO LIVE! No matter the plan you have, Making You LIVE allows you to add unlimited pages to your website. Most website builder systems will give the first few pages for free, then charge you for additional pages. Not Making You LIVE, unlimited pages are included in every package. From Making You LIVE Designer you can add a new page with few clicks and then you have full control of the content on the page. With our easy to understand and WYSIWYG (what you see is what you get) designer you can easily make this blank page full of image, text, social media like facebook, twitter links, image and video collections and the content you wish. You can also move pages around and organize them as much as you like. Making You LIVE's hosting is the ultimate hosting solution, delivering unparalleled performance and reliability, coupled with deep customization possibilities. Once you have picked a domain name for your website, you need a fast, secure, dependable hosting server. Our hosting solution provides a reliable, ultra fast, and redundant internet connection to serve your websites pages 24/7/365. You can choose to publish your website to a free sub-domain of Making You LIVE, register a new paid domain or set up a domain you already own. Create a photography and slideshow website with Making You LIVE and present your work in the most attractive way possible. It's fast, simple and easy so you can focus on your photography and not on programming. Built with a powerful drag and drop interface, Just click to choose your photos, customize things like your site background and more, and create something truly unique all on your own. What more password protect your each page, photo gallery and share only with the intended clients. We'll make them look great with transition effects, automatic resizing, and a wide selection of different display styles. 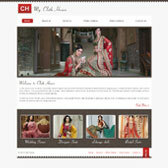 Fill your free Flash website with customized effects, music players, fabulous and functional widgets and so much more. You and your clients will never get bore, just have fun & play with Making You LIVE Designer. Get ready for an easy-to-understand alternative to hand-coding forms. Add input boxes, text areas, drop-down lists, checkboxes, lists, radio buttons, and more, all with the click of a button. Use your mouse to drag and drop them into place. Whether you're collecting feedback, creating a registration form, or keeping in touch with your users, you can do it with Web Form Builder. Making You LIVE takes the guesswork out of creating web forms. The drag-and-drop lets you add and customize form elements with ease. The finished forms look great and work perfectly. Let everyone know that you are the creator of your own web site. Isn't it an awesome feeling? When you upload video and music files to Making You LIVE, we automatically convert them for playback directly from your website. This means that your website visitors won't have to download your files and open a separate media player to watch or listen. Just drag and drop Video Gallery and Audio widgets and tell your story with video, audio and pictures. A good looking website without a considerable amount of search engine traffic adds nothing to its existence. Hence, SEO services offer good quality traffic is utmost important for any company aiming at making an everlasting impression on the web world. Probably that is why, most companies are now getting the services of search engine optimization companies to give a boost to the existing flow of online business. The SEO friendly designs and inbuilt features help your website which is SEO friendly. 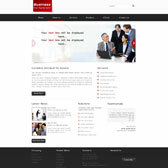 Our professionals will help you to redesign your website in best manner you want it to be. Once your Website Redesigning is done by us, you can feel the difference in look and feel, SEO friendly, simplest navigation and many more advantages with it. Our team comprehends the effectiveness of such a website and offers you advantages more than ever before. With improved SEO, your website will get a better place onto all major search engines, higher search engine listing ranking, enhanced visibility and better usability by the customer. So Making You LIVE is not a simple easy to create designer but our automated solutions are a complete range of business solution. 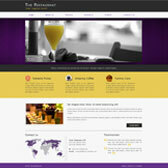 If you already own your domain, we' ll assist you in pointing it to work with your Making You LIVE website. Now you can own multiple domains with one primary domain and all other as secondary domain. For example if you own a domain already like abc.com and now you bought other domain like abc.in, abc.co.in, abc.org and want all your secondary domains should open you primary domain abc.com, its possible and easy. It helps to protect your business by not allowing similar business domain names to pop up now and then. So get all similar domain names booked and show your concern for your business or personal branding. Making You LIVE Designer helps to password protects your web pages. In order to use the tool, you need to log in as an associate at the Making You LIVE site and access your associate dashboard. You can easily password protect your pages and show them to only intended clients. Used intuitively, this feature can add great dimensions to your website. Go for personal and business branding with a customized professional logo from Making You LIVE pro team as per your requirement. A picture is worth a thousand words. Making You LIVE design team will create that picture - 3 professional Logo's to choose from. Help your client to find your location with Google maps. You won't know and behind the wall Making You LIVE Pro team has already integrated maps for you. While completing your profile, Making You LIVE Designer will automatically find you and show the map on the contact us page. You can completely customize the look and feel of the site, while also taking advantage of the Making You LIVE drag & drop editor to create the website content by having full control over HTML and CSS of your website. Our built-in template editor provides you with a real-time preview of the changes made to the theme code. With Making You LIVE Designer you would love to create, publish, learn and grow.